In early February, Jay Flatland and Paul Rose’s Rubik’s Cube-solving machine set a new world record with an astonishing time of just 0.9 seconds. But just two days before that happened, a new contender, Adam Beer’s Sub1, managed to solve a cube in just 0.887 seconds. 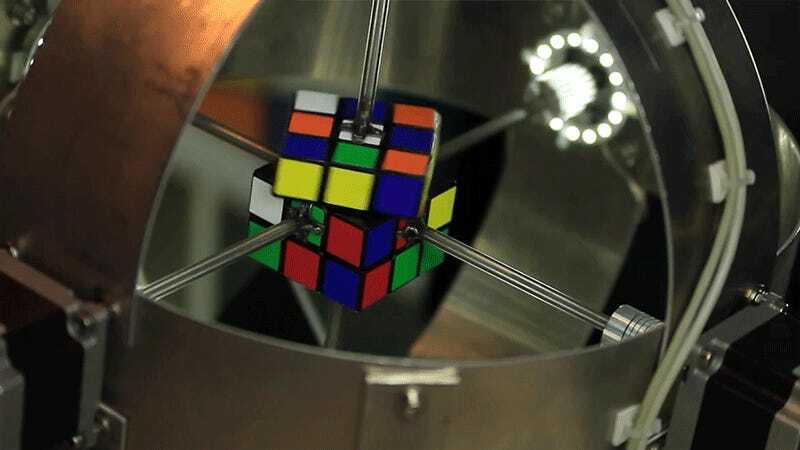 It took Beer’s machine just 20 moves to solve a Rubik’s Cube that had been scrambled by a computer algorithm, but unlike Flatland and Rose’s attempt, there were no Guinness World Record officials in attendance when it happened. That’s not to say the Sub1 didn’t shatter the world record, the attempt will just have to be verified by Guinness before it’s considered to officially be the fastest solve ever—for now.